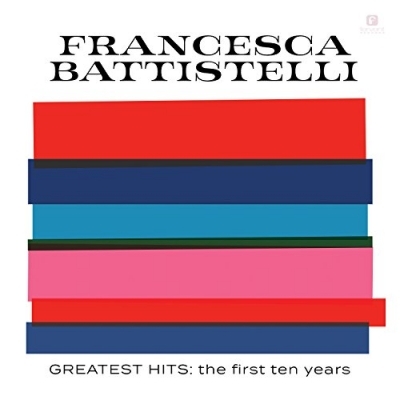 GRAMMY Award winning artist Francesca Battistelli celebrates ten years of her artistry with the release of Greatest Hits: the first ten years (Fervent Records). Spanning her decade long career, the 15-song album features six No. 1 radio hits, three top 5 hits, three top 10's and two new studio recordings. Read More GRAMMY Award winning artist Francesca Battistelli celebrates ten years of her artistry with the release of Greatest Hits: the first ten years (Fervent Records). Spanning her decade long career, the 15-song album features six No. 1 radio hits, three top 5 hits, three top 10's and two new studio recordings. Battistelli released her debut album, My Paper Heart, in 2008 which included "Free To Be Me," her first of many hits. Along with three RIAA Gold Certifications, a GRAMMY Award win (four total nominations), a Billboard Music nomination, six Dove Awards (and 28 nominations) and two KLOVE Fan Awards, she's garnered nearly two million in sales and her music has been featured across multiple television and movie outlets. Doing a review of a greatest hits album is not that easy. Firstly, in general the album doesn’t have the flow musically of a well thought out studio album. Secondly, if you are a fan of said artist you in general know the songs inside out already and, thirdly, musically if the greatest hits spans a long time the style and even quality of the music might vary and ten years in the music world is a long time! At fifteen tracks long there is a lot of music here. The classic and the big tracks of Francesca Battistelli are all here. If you're a fan of Francesca then you will already have these songs in their respected studio albums. Yet if you know only a few tracks then this album is a must as Francesca is simply a stunning vocalist who can belt out a tune. Listening to her really go for it during the power ballad of the song Beautiful, Beautiful is amazing. From the warm acoustic sounds of You’re Here, to the upbeat summer anthem This Is The Stuff. This is a stunning greatest hits and a wonderful addition to my music collection. It might not have been easy for Francesca to pick just fifteen tracks but she has produced a great collection here. You forget how many classics she has written. This album shows off the amazing Francesca and her power Christian pop at its best. Here's to another amazing ten years.